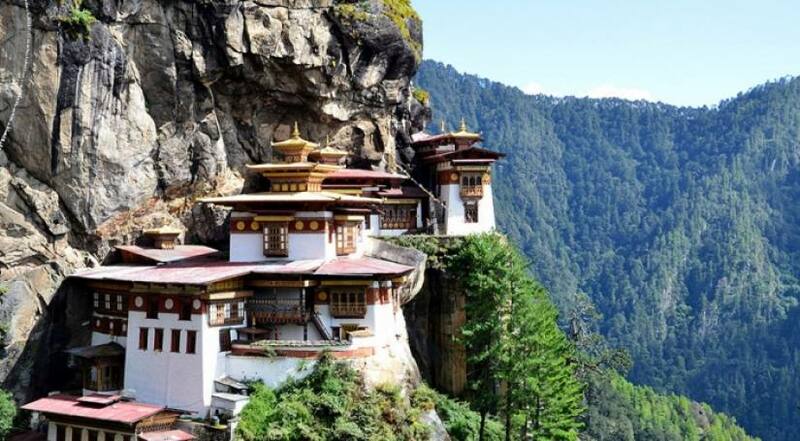 Best of Bhutan Tour is a special package for the travellers who are keen in exploring the cultural prosperities, Peaceful monasteries along with the picturesque valleys. Also known as the last Shangri La, Bhutan has preserved the natural wonders, landscape and flora and fauna along with the cultural heritages. Temples, Monasteries and Dzongs can be explored in many parts of this country that you can see during this tour in Bhutan. With an arrival in Paro, Best of the Bhutan Tour embarks to Thimpu, which is also the capital city of Bhutan. Due to the abundant attractions, this country is also described as the last paradise on earth. The best views and cultural sites around Paro, Thimpu and its surroundings. The trip can be combined with the tour and trekking in Nepal that can be customized according to tour plan. Some of the stunning places you visit on the Bhutan best tour are as follows. Sightseeing tour around the Thimpu lets you an opportunity to visit the National Library, the Traditional Institute of Medicine, the painting school, Textile and Folk Heritage Museum, Memorial Chhortens and Handicrafts Emporium. The tour moves to Punakha and Wangduephodrang, where you can see centuries old Dzongs and monasteries. In Paro, you can explore Drukgyel Dzong, Taktsang Monastery, sacred shrine- Kyichu Lhakhang and others. Spring and autumn are the best seasons to enjoy the best of the Bhutan tours. For the detailed information, please contact Himalayan Joy Adventure and make your trip precious.